HAPPINESS explained. 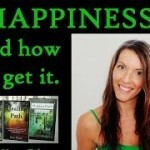 How to attract happiness NOW! Today I just wanted to have a quick chat about being happy and firstly, i would like to tell you that “i am”. Now my life is not perfect! No bodies is. But i have just discovered many little things that i do each day that keep my spirits high so that when a bad situation does arise, i am well equip to deal with it. All of my books talk about how to be happy along with other life tips and tools, however i wanted to share a few different tips with you today. Don’t watch the news, turn it OFF! — Its mostly negative anyway and when you see others in bad situations, it makes you feel that these things can happen to you or you commiserate and compare the negatives in your life. It places you in a poor me mindset. Not good! This will not help your happy feelings grow at all. Stop rehashing and sharing bad news — Seriously, why feel sorry for yourself or make others feel sorry for you, you are just waisting more of your precious day looking at all the bad. Unless you can give it a positive spin, throw your negative story in the bin! Let others be. — Stop expecting others to know how you feel and expecting them to act a certain way that appeases you. It is not their job to protect your feelings, don’t be so sensitive! Do watch comedy, heaps of it! — If i haven’t got a good book to read, i will lay in bed at night watching or listening to stand up comedy routines. I swear by it! I feel that if you go to sleep in a state of happiness it creates happy feelings for the next day. Many people go to bed concerned of their issues, what do you think this creates as a mental attitude for the next day — well, more issue obsessed thoughts of coarse. Do exercise everyday! — I do, its my free antidepressant. If you have not experienced war, torture, imprisonment or the daily struggle of starvation, then you are luckier then over 500million people alive today living this way. If you have a roof over your head and food in your fridge, you are wealthier then 75% of the people in the world. If you can read this blog, then you are better off then over 3 billion people in the world who cannot read at all. If you woke up this morning with more of your body in a state of health then sickness, you are better off then the 1million that will pass away this week. Start letting the worries go. — Nothing ever stays the same, bad situations always pass as do good, why not take initiative and let the worries go earlier. Focus on fun and happy things. I find this tends to create a space for the solution of the issue to arise. Be happy anyway. — Don’t be happy because, its a sure way to be sad. More of our ideas don’t work out then the ones that do, so if we are all only happy because we want something to be a certain way, we are setting ourselves up for a fall. Think — “if i don’t get what i desire, how can i be happy anyway?” Answer this question and you may find you always get what you want. and if not, you are happy anyway. Within this weeks tutorial or “tips video”, called – 8 tips to happiness, I describe some little ways you can become a happier person each and every day. If you are struggling to be happy, listen up to my tutorial and just change a few minor pieces within your life. It’s easy and my happiness tips are FREE. Thats a free tutorial for you and your friends. 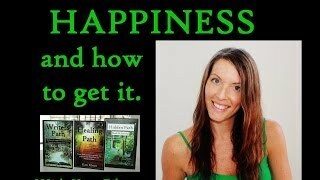 Please take a look at my other free videos for more tips from my books to make your life happier and more complete. HAPPINESS explained. How to attract happiness.